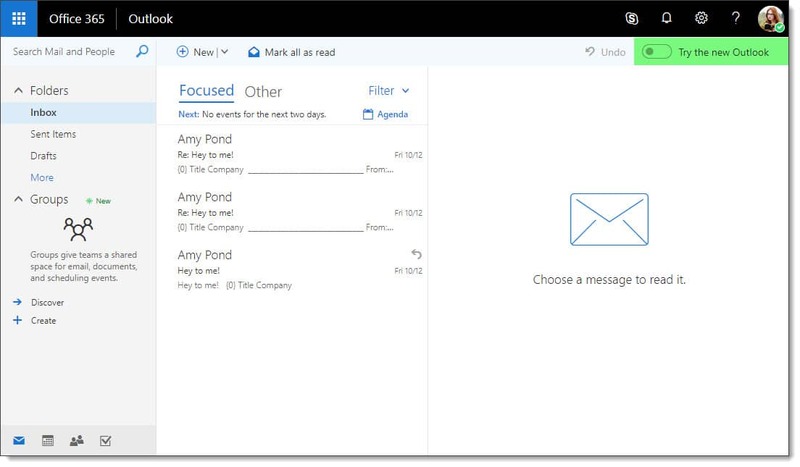 One of the newest features announced at Ignite was the ability to enable dark mode in Outlook on the Web. It is worth noting that this feature is only available in Office 365. There are no plans to bring it to Exchange 2019 at this time. I have always been a big fan of dark mode for any application as I spend more hours than I care to admit at my computer, so eye strain is always a concern. Dark mode lets us protect our eyeballs from the harsh glare of a white screen, and it may just conserve a little more battery life on our mobile devices. To enable dark mode, log onto Outlook on the Web and click the toggle next to Try the new Outlook so it moves to the right (on). Do not disturb in the Outlook mobile app is an amazing option. In fact, Microsoft CEO Satya Nadella recently demonstrated this functionality during his keynote at Microsoft Inspire 2018. With Outlook mobile you have two great options when it comes to setting do not disturb. You can either set do not disturb globally across all email accounts, or, you can set it individually for each email account. The former is a great solution when you need general quiet time from all your email accounts. The latter might be better when you need to dedicate time between work and personal accounts. For example, you could set do not disturb on personal email during business hours and, do not disturb on work email during weekends. In this article, we are going to implement this very example. Open your Outlook mobile app and select the Waffle menu. Make sure the email account you want to set the do not disturb on is active. You can verify which email account is active by the title in the menu. In the screenshot below we can see our work account gareth@supertekboy.com is active. Select the Do not disturb ( ) icon in the top right-hand corner of the menu. Pro Tip: If you want to set a blanket do not disturb across all accounts, select the Home icon. This will select All Accounts. Then select the Do not disturb ( ) icon. 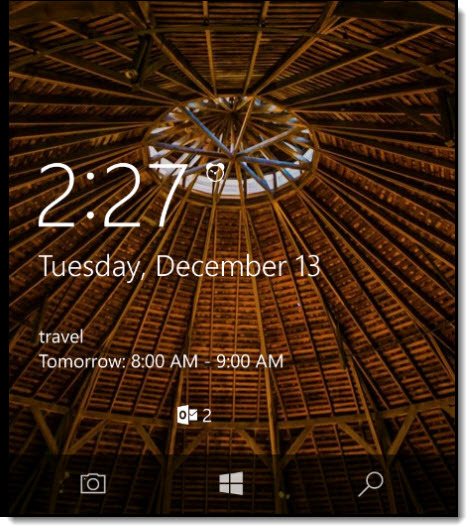 The notification area of the Windows Phone 10 lock screen is priceless. From an email workflow, the benefit of the lock screen is to quickly see if any new messages have come in. This is especially useful as it saves you time from keying in your passcode and checking your account for new messages. If you are like me you may have multiple email accounts on your Windows phone. Like me, you may also prefer to track how many new messages each email account has received on your lock screen. By default Windows Phone isn’t configured this way. Rather it tells you the aggregate number of all email messages across all accounts in a single notification. In the picture above the number two is actually two email accounts that have received one message each. 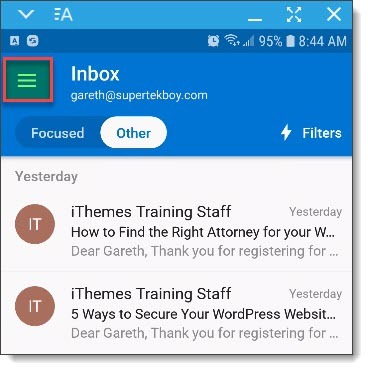 This may be good for some but when I have both work and personal email accounts on my phone I want to know which account has the new message to determine if it needs immediate attention. In this guide, we show how to create a separate message count on your lock screen for two email accounts. In our example, one account will be a work account on Exchange and the other will be a personal account on Outlook.com. This morning I woke up to a very interesting phishing email. 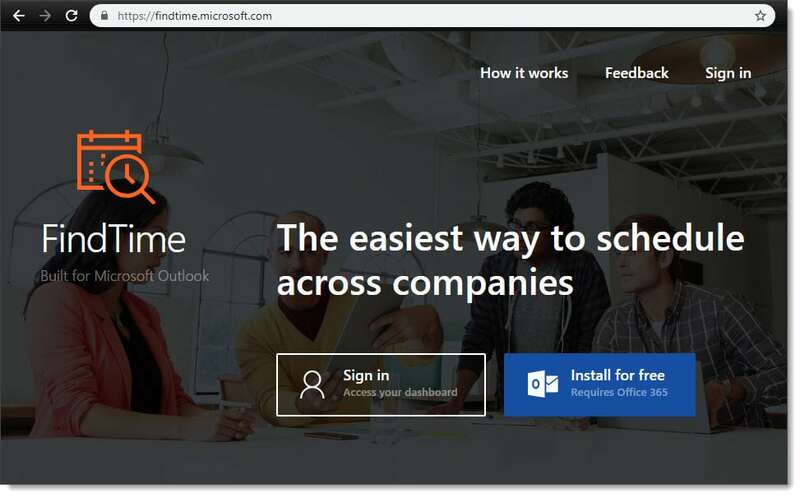 I never blog about phishing attacks but I found this one particularly interesting as it was spoofing Microsoft account services. Phishing emails are always getting more creative. Sometimes it is hard to spot a fake from a legitimate email. But there are always a couple of tells on a fake email. The one I received this morning had a few. The first was the email address. 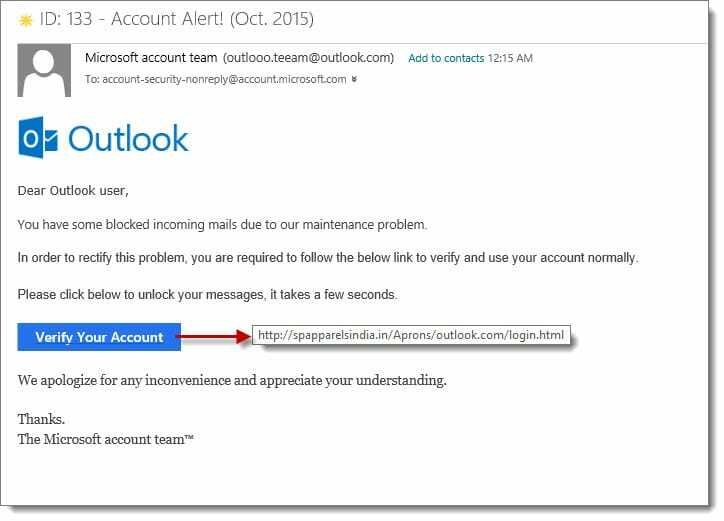 Despite it displaying outlook.com the part to the left of the at symbol read “outlooo.teeam”. This was the first red flag. The second red flag is the sketchy use of the English language throughout the body of the message itself. It just doesn’t read well. Then comes the Verify Your Account button. This was the ultimate red flag. Without clicking I hovered my mouse pointer over the button. It revealed where it was going to take me. Even if the email address had been formatted better and the body of the message was grammatically correct the link was the surefire tell. In the screenshot above I superimposed the link so you can see where it was taking me. 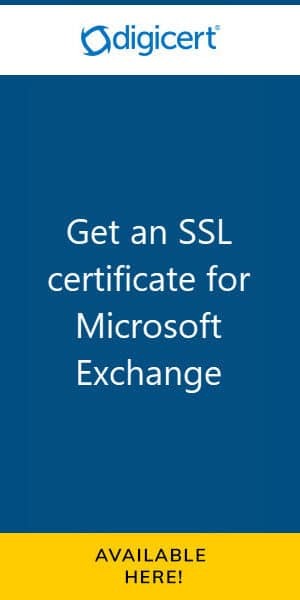 Clearly not a Microsoft site. But some site in India. The final red flag was the trademark symbol at the end of the message. I have no idea why the word “team” (or perhaps the entire phrase) is a trademark. 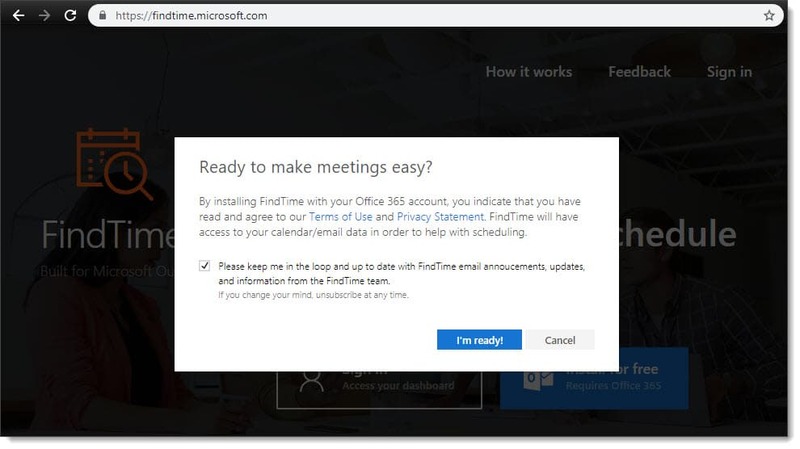 For any of you like me, that considered the LinkedIn Social Connector for Outlook 2010 to be the greatest thing since sliced bread, then you will be happy to know that this Social Connector now comes standard with Outlook 2013. Prior to Outlook 2013 this was a separately downloadable and installable component. This component is now built right into the Outlook 2013 framework. For those of you that have not used the LinkedIn Social Connector in Outlook; both the downloadable connector for 2010 and the standard connector with 2013 offer all the same great features. It allows you to pull all your LinkedIn contacts into a separate searchable contact list in Outlook. 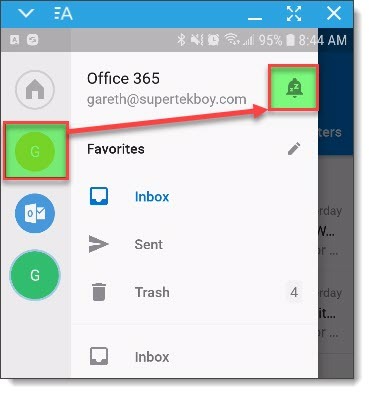 You can use that contact list like any other in Outlook. It also lets you add contacts from Outlook into your LinkedIn account. Furthermore it populates photos of people throughout Outlook with their LinkedIn profile picture. So, if you are emailing one of your LinkedIn contacts, or they are emailing you, their LinkedIn profile picture will show up on that email. If you also expand the People Pane, the What’s New tab, will list any activity that person has shared on LinkedIn, such as new connections, or, LinkedIn profile updates. Another keyboard combination in Outlook that is often overlooked is ALT + DEL on an email message. This brings up the Clean Up Conversation dialog box (and also allows you to adjust the Clean Up settings – this can also be found under the Outlook Options under Mail.). The Clean Up button is also available on the ribbon. 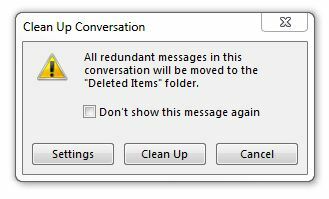 The idea behind conversation cleanup is to automatically remove redundant messages in a conversation. The basic idea is that if that contents of a message are completely contained in a reply, the previous message is moved to the Deleted Items. This feature is available in Outlook 2010 and Outlook 2013.